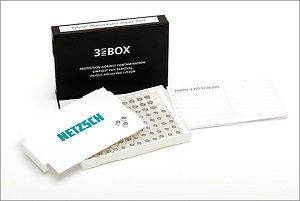 A new packaging concept for pans from NETZSCH is serving to simplify the preparation and archiving of test samples in differential calorimetry. Until now, the preparation of sample pans for thermal analysis measurements had been rather cumbersome. Pans and lids had only been available packaged in bulk form in plastic containers. The plastic packaging containing the metal parts would become statically charged and adhere to one another, sometimes becoming very difficult to separate. 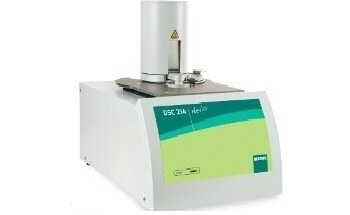 Such static charge can also provide a favorable environment for contamination of the sample pan. Additionally, if the packaging lid was closed carelessly, the crucibles and lids might become deformed and thus rendered useless. 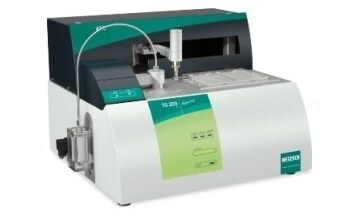 A new approach in the packaging of sample pans now allows for a more efficient process during sample preparation. The new 3-in-1 box contains 96 crucibles or lids, neatly sorted in an anti-static plastic box. This pre-sorted arrangement and the anti-static material of the container allows for individual pans and lids to be easily withdrawn from the box. This also helps to circumvent the danger of contamination or deformation. An added feature is the “Sample Identification Card” included in the box which allows for the documentation of samples and measurement results. The compact 3-in-1 box is thus an easy-to-handle storage unit for pans and lids with additional benefits in both transport and archiving.